President Medvedev has expressed confidence that Russia will succeed in modernization, noting that there is “no other opportunity” and that failure would lead to disintegration in the country. 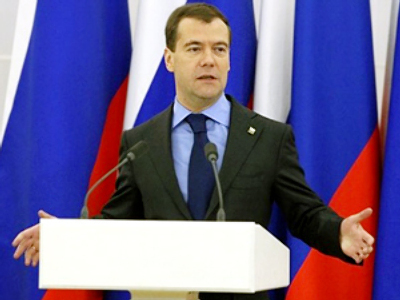 According to Medvedev, “we have no other opportunity”. “If we fail in carrying out modernization, a disintegration of the country and degradation of the economy will follow. This suits none of us,” the president stated. The president noted that a lot of work has been done in recent years and “the country has been developing in an absolutely correct direction." Russian people "have managed to strengthen the state, reform the economy, and create a framework for the political system," he said as quoted by Itar-Tass. 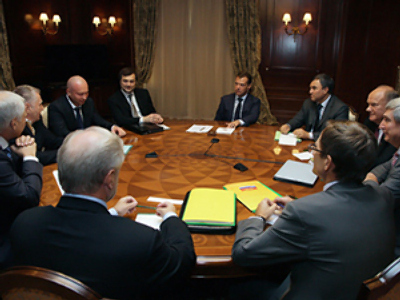 However, Medvedev admitted that "the country has been moving not that fast as we would like it to." "Now the time has come to change the paradigm of development, not to strengthen what has been achieved, but to engage in the development of the whole of society and the economy," he said. At the beginning of the meeting, Boris Gryzlov – one of the party’s leaders and the speaker of the State Duma – presented a report on the situation in the country and outlined the main problems and possible ways to address them. What makes matters more complicated is that there is a deficit in workforce in some parts of the country. “First of all, those [parts] are Siberia and the Far East,” Gryzlov said. “I believe we should create attractive conditions to facilitate internal migration to those territories.” As an example, he suggested that people willing to move and work in the east of the country would be provided with land. 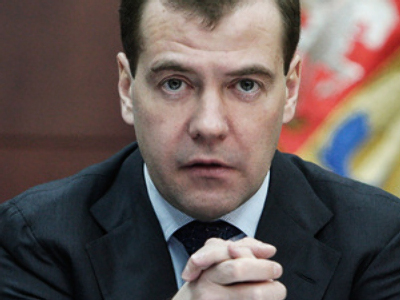 Medvedev declared that extremely high oil prices would become an obstacle for Russia’s modernization. “Bluntly speaking, $140 for a barrel is a catastrophe for Russia,” he stated. “It means the destruction of all stimuli for development," he said, Interfax quotes. He went on to say that it is typical not for everyone to monitor oil price movements on the Internet. "The fact that it is already fluctuating in the $70-$80 range is great, it's good fortune. It means the budget is already pulsating; it is already possible to do nothing. And if it's 90, then it's possible to totally relax. What modernization? Why bother with it? 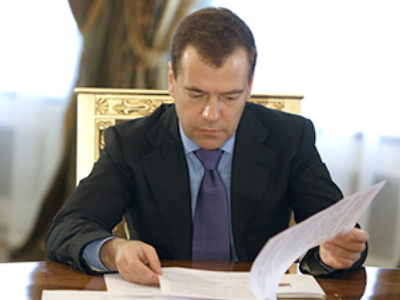 There will be money to carry out social programs," Medvedev said. Nevertheless, the president noted that Russia would like its energy resources to sell well and prices would not be too low. 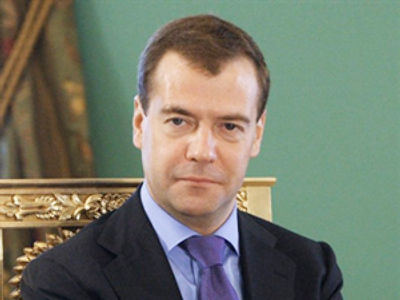 Direct democracy is coming back to Russia and the Internet is playing a key role in the entire process, Medvedev said. “I believe you will agree with me that we are standing on the brink of an epoch that will mark a return from representative democracy to direct democracy to a certain extent with the help of the Internet,” he said as quoted by Interfax. According to the Russian head of state, representative democracy used to be seen as the supreme democracy founded on the principle of elected individuals representing the people. Now, however, the idea that representative democracy is the best form of government has become obsolete. 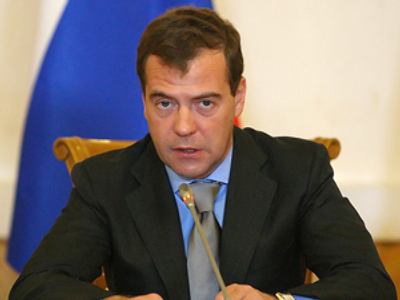 “Considering the level of education of our citizens and in the world as a whole, I am absolutely sure that elements of direct democracy – not just discussions on crucial issues, sociology and discussions in the Internet blogs – but precisely direct democracy will enter our life,” Medvedev stated. The country’s leader is certain that in the future the number of democratic institutions – such as the Internet – will increase. “The Internet has become an important source of information for a large number of young and not very young people – like me,” Medvedev said. That, according to Medvedev, indicates that “the information revolution has happened” and a political force which wants to remain in power should keep that in mind. “I believe United Russia understands that,” he added.